The notion of the reenactment is gaining currency as an important and versatile term in cultural studies discourse. Bundling central questions of the politics of memory, the transmission of tradition, cultural appropriation, and the ability to narrate and stage history, the concept can be taken up in a multitude of interesting aspects. The ascendancy of the artistic reenactment can be read as a response to the malady of the absence of self-determined history in and after postmodernism. In this context, the reenactment is understood as a recourse to, and further development of culture-historically anchored reiterative practices which are intended to assert autonomy in the face of a history that is increasingly experienced as heteronomous. The project revolves around the following questions: How does an event relate to its reiteration; how does memory relate to the remembered? Where does the dividing line run between tautology and understanding, between mere mass-media repetition and “cultural memory”, between perfect imitation and critical re-production? What ultimately differentiates a reenactment with a heuristic aspiration (in the sense of a critical actualisation of that which is repeated) from a purely preservative aestheticisation of the past? The research plan breaks down into a historical-critical, a representational-theoretical, and an action-theoretical part, each of which is closely connected with the projects developed in parallel by IIPM. 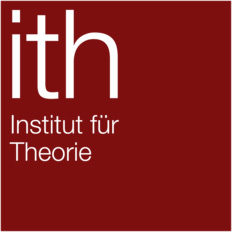 The results of the research are made publicly accessible in various publications, as well as in courses and formats in the area of artistic research in collaboration with Zurich University of the Arts (ZHdK). 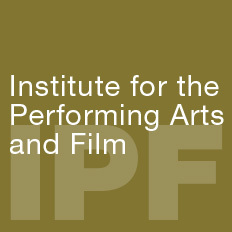 In cooperation with the Institute of Performing Arts and Film (IPF) and the Institute for Theory (ith) at Zurich University of the Arts (ZHdK).